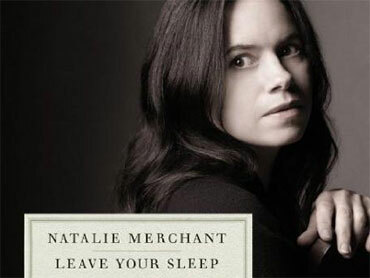 Natalie Merchant's "Leave Your Sleep," her first album in seven years, hit stores Tuesday. The album is a two-disc release featuring her musical interpretation of 19th and 20th-century poetry. Among the poets she chose for the 26 songs are Robert Graves, Charles Manley Hopkins, Edward Lear, Ogden Nash, and Robert Louis Stevenson. The former 10,000 Maniacs lead singer's last album was 2003's "The House Carpenter's Daughter."